Inlay Jewelry : What is it & should you buy this type of jewelry? If you’ve heard of inlay jewelry you probably know that it is a good alternative to gemstone jewelry with set stones. But is it good for you? In this article, you are going to find out everything you need to know about inlay jewelry. This includes the pros and cons of owning this type of jewelry. By the time you finish reading, you will know what it means to buy precious and semi precious gemstone jewelry with inlaid stones. Read further to find out more and discover the exciting universe of fine jewelry. As you probably know, with most gemstone jewelry pieces you have a setting that holds the stone in place. It could be a bezel or a prongs setting, or it could be another one. Regardless of its design, all of them (even invisible settings) are created to hold the gemstones in place and, without them, the gemstones would fall off. As opposed to this type of jewelry, inlay jewelry doesn’t have settings. Instead, the jewelry makers carve special channels into a metal piece and insert the gemstones in them. These channels can have any shape because they are the exact shape of the gemstone. If it stone is round, the channel is going to be round and so on. Before inserting the gemstone in the custom channel, jewelry makers use a special glue to secure it. So, as a quick recap, with classic gemstone jewelry, you have a metal setting that holds the stones in place. With inlay jewelry, you get a custom channel and a special type of glue to prevent the gemstones from falling off. As with every jewelry-making technique, you also get a couple of pros and cons when it comes to inlay jewelry. In the end, it is up to you to decide whether you should buy it. But that decision needs to take into account all the pros and cons which we are going to reveal to you. As you have probably guessed it, without any classic setting to limit the design options, inlay jewelry can be very creative. You can get a completely unique piece of jewelry and know that is custom to your gemstones. 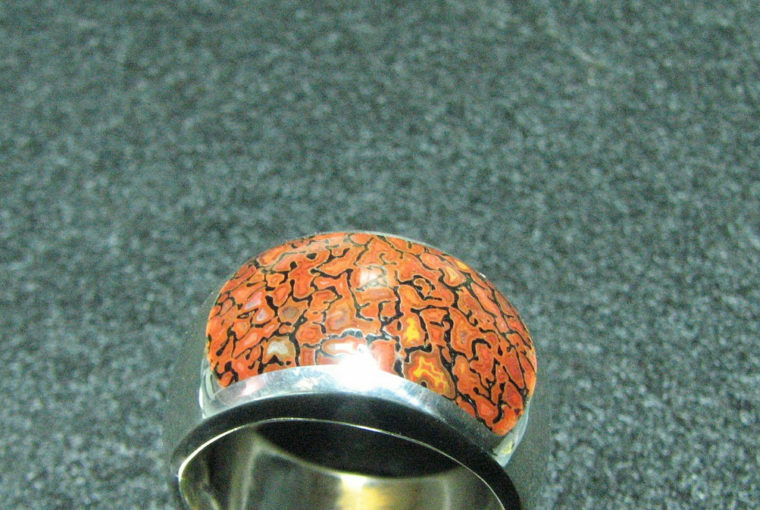 Another advantage of inlay jewelry is has a sculptured organic feel. You don’t have two separate pieces anymore (the metal and the gemstones), but a completely new piece where the metal and the stones are fused together. Last, but not least, with inlay jewelry the stones get more protection from abrasion than they would in a classic setting. This being said, are there any cons to buying inlay jewelry? Read further to find out. As unique and beautiful as it is, inlay jewelry also comes with a couple of disadvantages. And you need to know them before buying it. The first disadvantage is that, if your stone gets damaged, it will be more expensive to replace it. If you have a gemstone cuff with stones in a bezel setting, you only need to purchase a new stone to replace the one that is broken. However, with an inlay gemstone cuff, the jeweler will have to cut the new stone specific to the channel shape in your cuff. And that will cost significantly more. Another con of buying inlay jewelry is that the glue gets old. And when it does, it will stop holding the stones together. You may end up losing the gemstones without realizing. Of course, if you take your jewelry for inspection periodically, you can prevent this problem. As a side note, never use ultrasonic cleaners with inlay jewelry and don’t expose it to heat as it will weaken the glue. 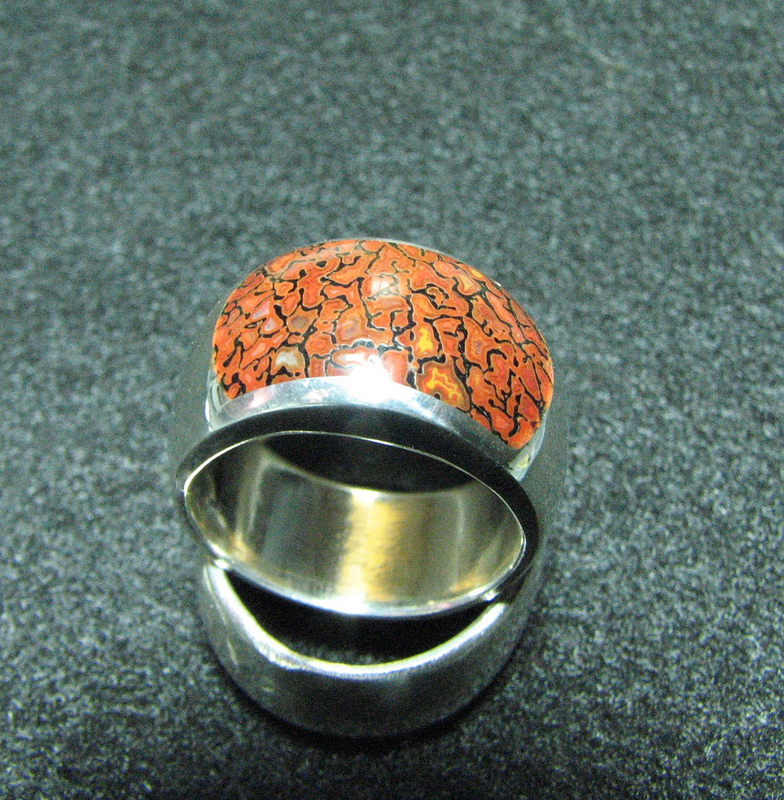 Last, but not least, it is very difficult to resize an inlay ring. It is not impossible to do it, but it can be quite risky. Most jewelers refuse to resize inlay rings more than one size up or down. This happens because, during the resizing process, the channels can get deformed. There is also the risk of cracking the gemstone and nobody wants to go through that. This being said, inlay jewelry can be a great idea if you want a unique jewelry piece. You just have to be more careful with it and take it to inspections periodically. In the end, it is your choice whether or not to buy it. If you want to read more about different types of jewelry, browse through our other articles as well. To view Ana Luisa’s fabulous designer jewelry collections, visit our online jewelry shop where you will always find exciting new designs and creations.